As Lewis and his friends scrounge up the perfect group of misfits to join the revolution, Ms. Zarolla, coach of the school's award-winning all-girl drill team, vows to bring the Unitards to an end before they embarrass her and ruin the school's reputation. As she makes plans to hijack the newly formed dance team, the Unitards make their own plans to take over the school once and for all. 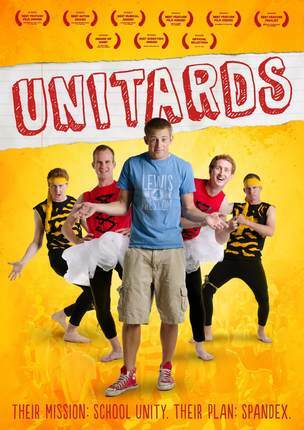 “Unitards” strikes all the right chords, emotional and narrative, to feel both familiar and exhilaratingly new. A true masterpiece of our time. We gathered a large group to watch this movie and every single person felt bored and disappointed by it. This video seems to miss the mark. The humor just doesn't work. My family loves this movie! Good, clean fun with lots of laughs. Great story line about being yourself and people will respect you when you are ok with who you are. My teenage son wants to play this movie when friends come over, and it has accompanied us on a few road trips in the short time we've owned it.